What follows is a case study prepared by the Actuaries Institute’s Superannuation Projections and Disclosure (SPD) Subcommittee and if any one has advised you to dispose of assets to get more Centrelink/DVA Aged Pension in reaction to the reduced Assets Test in January 2017, then you should read this article. You should not act on strategies that affect short-term income unless you look at the long-term results too. The Actuaries Institute’s Superannuation Projections and Disclosure (SPD) Subcommittee designed a projection model to estimate the income that assets would support during retirement for a number of case studies. Experts are thick on the ground these days, sometimes with free advice that can prove costly later on. And it seems experts are particularly fond of advising retirees and those about to soak up the sun on weekdays about how and when to spend their money. One strand of free advice at the moment involves recommending that retirees should spend a bit more, or indeed a lot more, to secure a higher pension to take into account impending changes to the asset test. Understandably, these changes from January 1 next year have many retirees and those close to retiring thinking hard about whether they should change their financial arrangements. To be more specific, after this date the age pension reduces by $78 per year for each $1,000 of non-home assets over certain thresholds. At first glance, this looks like you’d have to earn over 7.8% on the extra $1,000 or you’d be better off without the extra $1,000 of assets. The Actuaries Institute cautions that retirees destined to live to a ripe old age should think twice before accepting some of the advice recently aired on this topic. Indeed, this advice ignores the fact that a partial age pension entitlement generally increases throughout retirement as assets reduce. The SPD Subcommittee have designed a projection model to estimate the income that assets would support during retirement for a number of case studies. The SPD considered a number of scenarios. They were based on two single females (Anne and Barbara) who own their own homes. Their only asset, other than their home, was a balance in an allocated pension. It was assumed that the allocated pension was the only source of income for both women and that they continued to live in their own homes throughout their retirement. The modelling also assumed that the required level of income each year (the combination of the age pension and income from the allocated pension) would be equal to the annual expenditure of ASFA’s comfortable lifestyle for a single person indexed to CPI. In this case study, we examine one of the scenarios considered. This scenario assumes the two women plan to retire at age 65 on 1 January 2017 with potentially identical superannuation assets of $450,000. To highlight the long-term impact of spending some of the superannuation assets before retirement, we assumed that Anne increases her spending before 1 July 2017 so as to reduce her retirement assets and receive a higher age pension than Barbara, who decides to save her money. The additional spending was assumed to reduce Anne’s final retirement benefit available on 1 January 2017 to $250,000. Chart 1 below provides a year-by-year projection of the incomes of these two individuals to age 100. Note: all projected values have been discounted to Today’s Dollars at the rate of Wage Inflation. The green and purple lines show the total income received in Today’s Dollars. The blue and red lines show the annual amount of age pension received. It can be seen that the aged pension paid to Anne in the early years is higher because the pension assets she owns do not reduce her age pension. However, because Anne has less pension assets she exhausts her assets by age 84, after which she must live on the age pension or use her home to generate additional income. 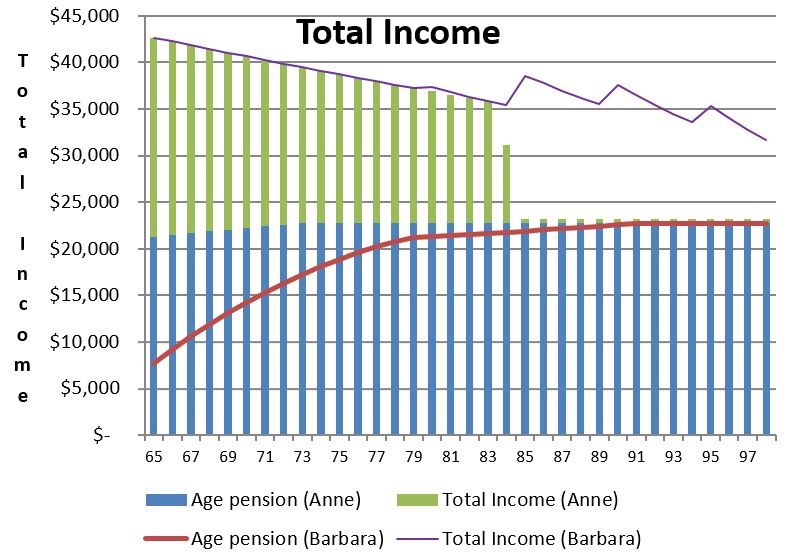 Barbara, however, at age 84 still has pension assets and therefore receives a higher level of income than Anne for the rest of her retirement. Also Barbara’s total income received is equal to or greater than her desired income level throughout retirement. She will also maintain a balance in her allocated pension throughout retirement and can continue without resorting to using her own home to generate additional income. An examination of the projected asset values is also instructive. Chart 2 below shows the value of their pension fund assets at the end of each year during retirement. 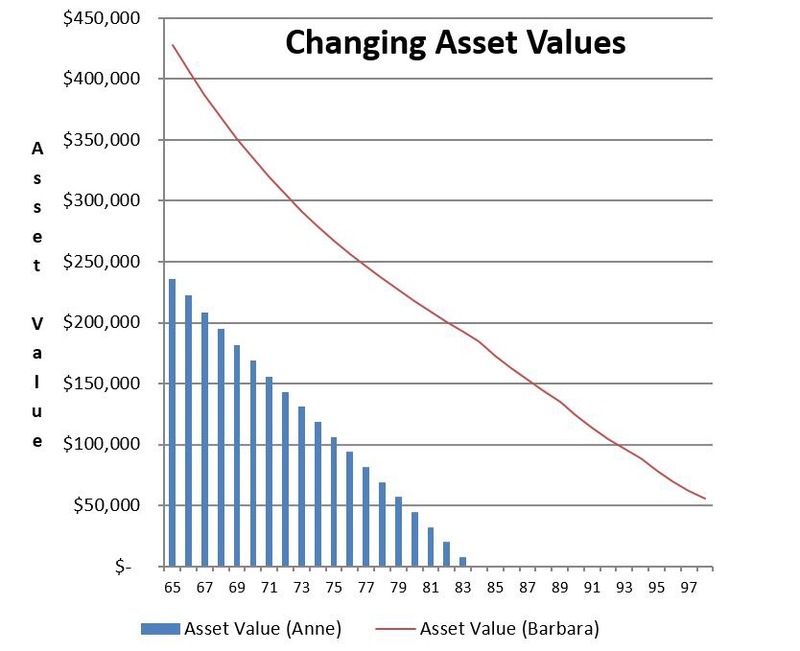 Barbara has significantly greater pension fund assets throughout retirement. This provides added flexibility in her spending pattern. It also allows for aged care costs or bequests in later age. The additional assets also provide a buffer if the net investment earnings are less than the 6.5% we have assumed. Importantly, the fact that Anne receives a larger age pension in the early retirement years does not indicate what strategy results in the best long-term outcome. The example and related discussion above highlight the significant challenges involved in retirement income modelling and strategy choice. 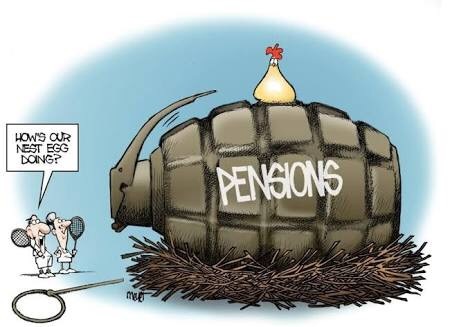 Such tasks cannot be properly addressed through conclusions based upon calculations of a retiree’s first year age pension and allocated pension income entitlements. The interaction of the many pieces of Australia’s retirement income system is complex. It includes assets and income test rules for the pension, minimum superannuation assets withdrawal requirements and the interaction of other factors such as inflation and investment returns. Any conclusions based on only considering the income generated in the first year after retirement are liable to be incorrect. Only the output of a year-by-year projection can clearly show how these factors interact throughout a person’s retirement. Retirees must make decisions about spending capital over time. Ideally, these should allow for a sensible assessment of future cash flow. Year-by- year projections throughout retirement are vital to capture the dynamic nature of the age pension rules as asset values change. However, this is just the start. Given each retiree has an unknown lifespan and faces unknown investment returns, people have valid concerns about outliving their capital. Models like this one can be extended to assess a full distribution of likely outcomes and take into account the retiree’s asset mix and even health status. This allows people to make informed decisions that meet their required levels of certainty. The Government has announced that from 20 March 2015, Centrelink will reduce the deeming rates applicable to allowances and pensions. The lower deeming rate will be reduced from 2 per cent to 1.75 per cent for pensioner and single allowees for financial investments of up to $48,000 and for pensioner couples with investments of up to $79,600. The higher deeming rate will fall from 3.5 per cent to 3.25 per cent for amounts over the deeming threshold. This is estimated to affect 770,000 pensioner and allowee recipients according to the Minister for Social Services, Scott Morrison. In the media alert, the Minister suggests that part-pensioners will receive an average increase of $3.20 per fortnight or $83.20 per annum. This will be received as welcome news to those pension, aged care users and Commonwealth Seniors Health Card recipients who, from 1 January 2015, have been caught by the extension of the deeming rules to account-based pensions. It may also allow some people who were previously in receipt of the Low Income Health Card to become eligible for it again. 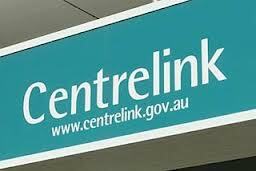 The lower deeming rates may not be the end of Centrelink changes with respect to deeming. The Social Services and Other Legislation Amendment (2014 Budget Measures No. 5) Bill 2014 was introduced into the House of Representatives on 2 October 2014. One of the measures contained within this bill was to reset the deeming thresholds to $30,000 for singles and $50,000 combined for pensioner couples from 20 September 2017. This was part of the measures proposed in the May 2014 Federal Budget. To date, the Government hasn’t had any success in moving this Bill through the House and on to the Senate. Overall, the changes to the deeming rates are a welcome measure for all pensioners and allowees who are not in receipt of the full allowance or age pension. This is especially so for those who own direct shares and/or who are not beneficiaries of the grandfathering of account-based pensions. What will be interesting looking forward is whether there are any interest rate cuts in the near future which affect the deeming rates. 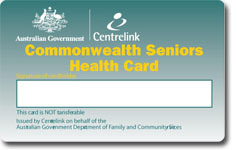 In the 2014 Budget the government has made it very clear it will impose tougher income test rules for self-funded retirees applying for the Commonwealth Seniors Health Card. This will mean that fewer will be eligible for the pharmaceutical and health concessions provided by the CSHC. The Budget papers also included a point not mentioned much in the media that the government will reset the deeming thresholds from 1 July 2017 from $46,600 to $30,000 for singles, and from $77,400 to $50,000 for a couple. So this will increase your reportable income for the Income Test and affect not only pensions but concession cards and aged care costs. The new change in the Budget means that Pension Income Streams will be included in the incomes test for the Commonwealth Seniors Health Card. Just in case you do qualify they have put a sting in the tail and reduced the benefits from the card. the eligibility thresholds will index from 20 September 2014. This may allow some currently ineligible self-funded retirees to qualify and also allows current recipients who are at the top end of eligibility to continue to qualify even if income is indexed. you should review your Pension and Income streams if an existing cardholders before 1 January to ensure they are happy to stay in these accounts for the long-term as if you change you will be subject to the new deeming rules. Self-funded retirees in receipt of the CSHS but who still have funds in accumulation phase may wish to commence a pension income stream with those funds before 1 January 2015. Ensure you have completed any Re-contribution strategies to improve the Tax Free components for estate planning by January 2015. As always if you have any comments please add them below or if you wish to discuss your position and strategies for Centrelink and/or Aged Care costs then please contact us for an appointment at our Castle Hill or Windsor office or call me direct on my mobile 0413 936 299.